The old house on the road leading to our property has seen better days. The sheep and cattle nosing around and in it haven’t helped and it’s thus deteriorating quickly these days. I love photos of abandoned houses. 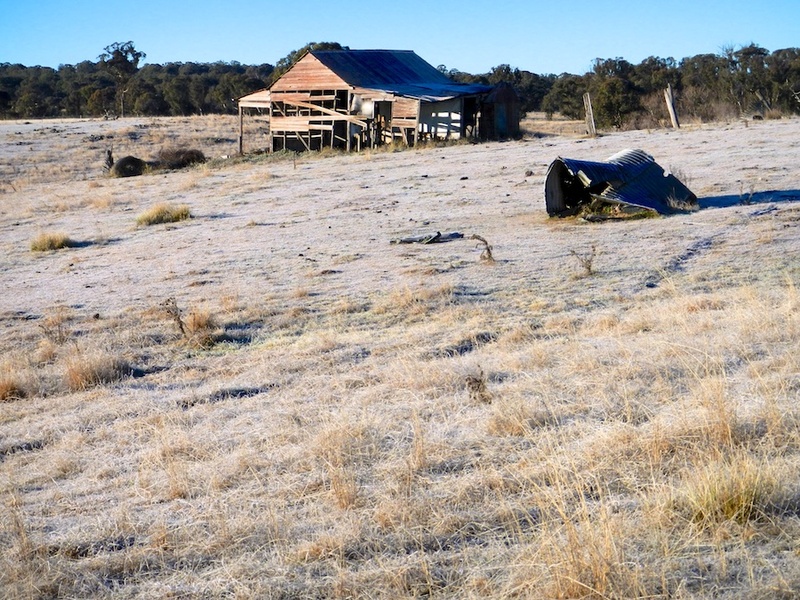 This one is extra special with the frost and the battered water tank. Almost an emotionally hard picture. The hardness of the frost and the hardness of the old buildings. You’ve captured an amazing picture here.